The Margaret Pyke Centre on the corner of Charlotte and Tottenham streets. A planning application has been submitted for a new development of flats and offices on a site currently occupied by the Margaret Pyke Centre. The building on the corner of Charlotte and Tottenham Streets would be completely demolished and a new building built. The building is owned by Derwent London plc and a lease held by the Margaret Pyke Centre is due to expire next year. The Margaret Pyke Centre is a registered charity and provides a number of sexual health services and counselling. It is one of the biggest contraceptive centres in the world seeing between 600 and 900 patients per week. Where the Margaret Pyke Centre will move to is not yet known. During pre-planning consultation, the developers were asked why they couldn’t refurbish the existing building rather than totally demolish and re-build. Fitzrovia News was told the existing building was not suitable for refurbishment because, among other reasons, its ground floor plate was not at the same level as the street. 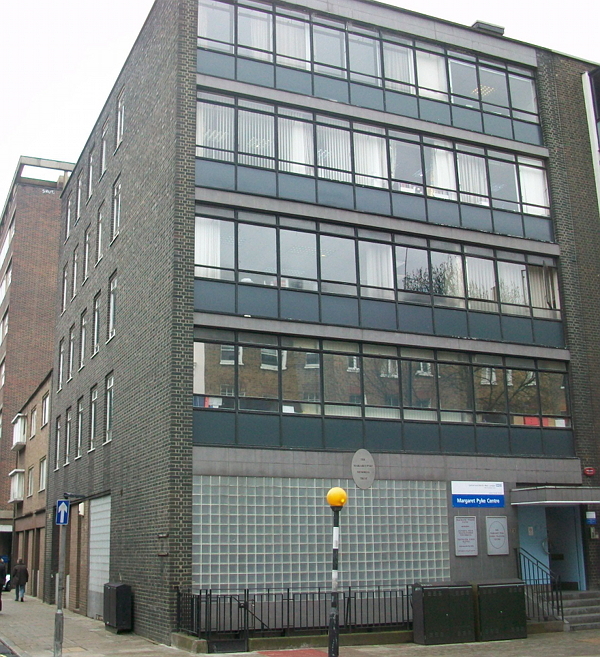 The plans were registered with Camden Council on 17 April and include: demolition of existing buildings at 73-75 Charlotte Street, 34-38 Tottenham Street and 4 Tottenham Mews in association with a new mixed use development consisting of new building which varies in height from 3 to 6 stories plus basement. There will be 9 private flats, 2 intermediate affordable flats, and 253sqm of office floorspace at part basement and ground floor level. There will be 1 one-bedroom flat and 1 two-bedroom flat for a social rent provided off-site at Whitfield Place. There will also be a financial contribution to open space and education. Full planning application here. The scene of the murder outside Jay's Jewellers on the corner of Tottenham Street and Charlotte Street. Just before 2:30pm on Tuesday 29 April 1947, three men clutching revolvers entered a shop in central London. 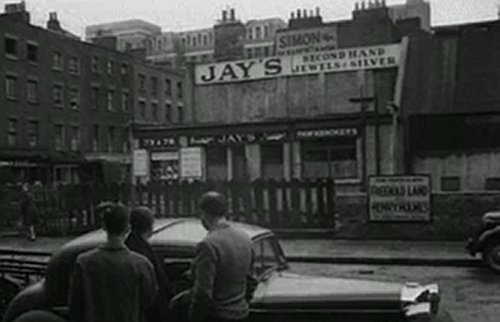 The shop, which they intended to rob, was a combined jeweller’s and pawnbroker’s called Jay’s. Fitzrovia is always expanding which is not a bad thing; however, I do feel that it is to the detriment of the true Fitzrovians, with the cost of property and rents escalating to unbelievable levels. Take the Middlesex Hospital plot – with flats expecting to cost around £800k per studio flat that will be marketed to the overseas buyers – these figures are out of reach for the regular person. I am sure there will be no difference in pricing with this new build. They obviously think we are stupid to believe them when they say: “we will supply social rented accommodation”, this is just a way for them to push us around and destroy our area with non affordable apartments. Then it is always about the profit and not about the community. Sorry – rant over.